Razer has announced the Razer Power Bank smart charge accessory. The firm angles this accessory as a facilitator of extended battery life for your USB-C laptop. 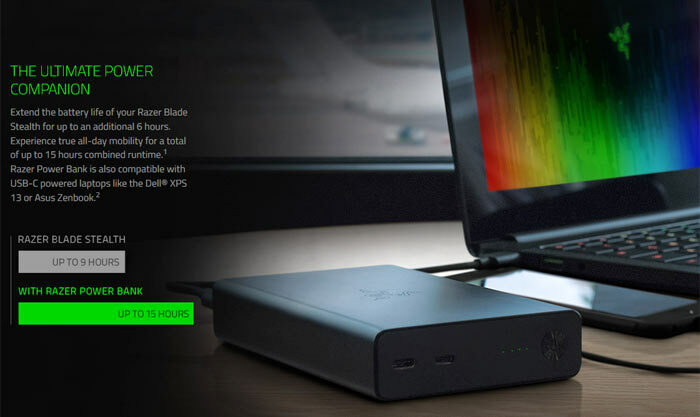 For example, Razer says that with its new Power Bank in tow, the Razer Blade Stealth can operate power-outlet-free for over 15 hours. "High-performance mobile laptops like the Razer Blade Stealth are more a part of daily life than ever before, and keeping them charged and ready is a high priority," said Min-Liang Tan, Razer co-founder and CEO. 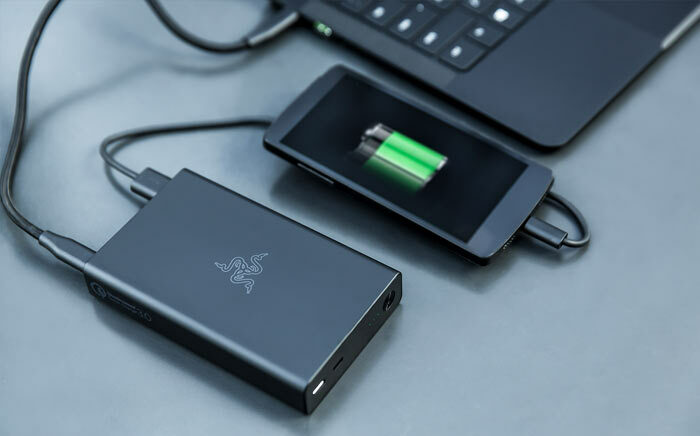 "The Razer Power Bank enables true mobility for users who can now quickly and smartly charge their laptop, phone and tablet at the same time when an outlet isn't an option." 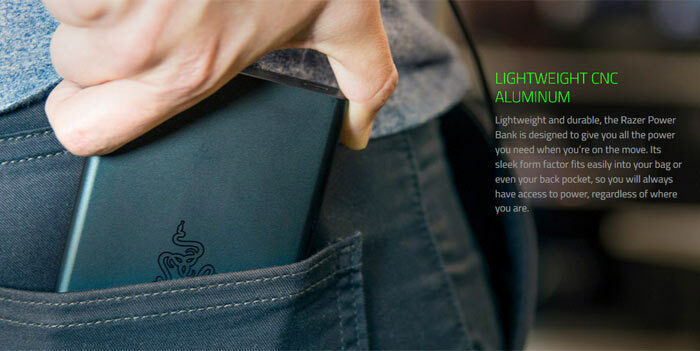 As hinted at above by Mr Tan, the Razer Power Bank offers multiple charging ports. It offers dual USB-A ports and a USB-C port for charging up to three mobile devices simultaneously. The device has the 'intelligence' to recognise the type of device requiring charge and can fast-charge the Blade Stealth to provide an additional six hours of battery life in less than two hours. Furthermore, it is Qualcomm Quick Charge 3.0 compatible, charging some mobile devices 4x faster than conventional chargers. At the time of writing the Razer Power Bank is a 'Notify Me' product in the RazerZone store. In an email to HEXUS, Razer said we should expect availability in March. Pricing has been set at US$149.99 / €169.99 / £144.99. Power Input - Charge Power Bank: USB Type-C | 5V / 9V / 12V / 15V / 20V, 1A to 3A max. Razer Power Bank Charging Time (approx. ): 2 hours using the Razer Blade Stealth 45W Adapter. Adapter sold separately. Voltages. Anker bricks are mostly 5v, laptops aren't. Does having an AIO solution for different devices justify the poor capacity and high price? I got the 20,100 mAh Anker nearly 2 years ago for around £20. @bitbucket+Biscuit: It's not that big and given they state 46Wh with a 12,800 mAh rating, it can be calculated to be about 3.6V. With the leeway they probably put into that, it is about your everyday lithium voltage. I'm guessing its got a fairly typical arrangement of four ~3200mAh 18650 cells in it. So capacity wise, there is plenty of competition in the region from existing mobile chargers. I like that it seems to be following USB PD specs for output and input but my god, its expensive for what it is. And not enough green LEDs.